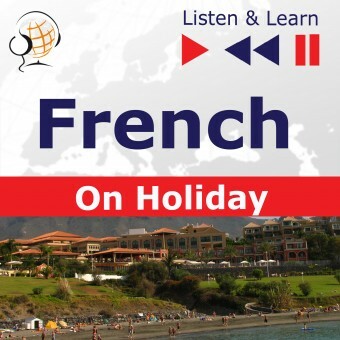 This audio course quickly and effectively prepares you for going on holiday. The main aim of the course is to break down the speaking barrier and to master the vocabulary required in various situations on holiday. The course teaches the authentic language used in everyday conversations. All the words and expressions are recorded with translations, which enables easier use of the course and allows for faster mastery and consolidation of the material. A Reading Booklet to be used with the audio lessons is also included in PDF format. This is effective learning, easy and available to everyone. • Speak: independent formation of sentences and questions in accordance with the teacher’s instructions.